Discussion in 'Downhill & Freeride' started by demo 9, Oct 12, 2010. Apologize for the crap pictures, unfortunately its the best i could do given these circumstances. 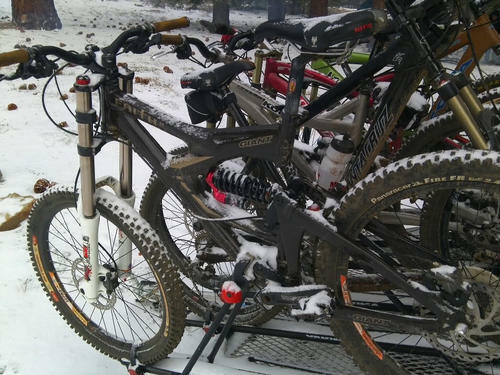 So for whoever saw it coming, no more yeti, unfortunately (and im pretty bummed) it didnt work out, and nothing could get that bike ride-able to ME. Picked up a faith from me fried super cheap, so i could throw all the parts onto it. Links are flipped and it weighs a respectable 42.2 pounds on the **** scale, not terrible for an older bike, id say it can go to 40, but mine wont hit that low. An evil twin has arose. Your going to love it. The head angle isn't super steep but what you lose in the plow you gain in the turns. Very quick and precise in the front end. Drop crowns worth it? Max the fork? 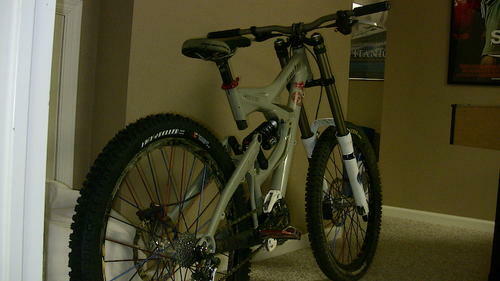 I mainly got it because its a solid bike, good big company and price tag. I would love to rake out the fork but i flipped the links and can only gain a little bit more from the fork. Ideas? Dave Camp shreads on that bike. Don't let the latest and greatest hype get to you. Those were solid bikes. what happend to the yeti? and dont you have a few other dh bikes? Do you not think the 40 has something to do with the arm pump? A common complaint of that fork hear. Tried 3 40s on it, and they all work fine on my other stuff. I run all the same parts on all my bikes, so its usually pretty easy to find the "problem" my guess is that the geo was just not meant for me, people rode/ride them all the time without problems, just didnt work out for me. I have faith in the faith, have heard great things about it. 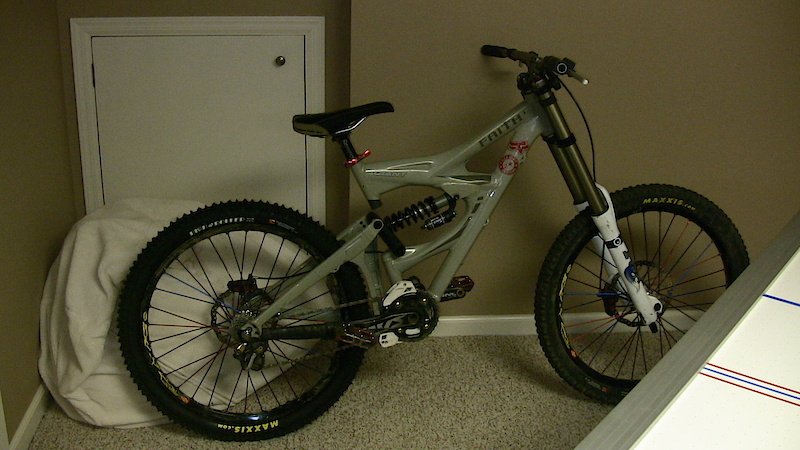 the faith i had (one in my sig) is still the most comfortable frame ive owned. shame i got bit by the upgrade bug. still have thoughts about grabbing one of those and throwing my parts on it. But can you duct tape the seat to the top tube? That's the real question! Glad to hear that you guys all like them, it looked good to me but couldnt find to much information on it. A couple local rippers used to ride Faith's, they loved them and went HUGE on those bikes, I don't think you'll be disappointed. 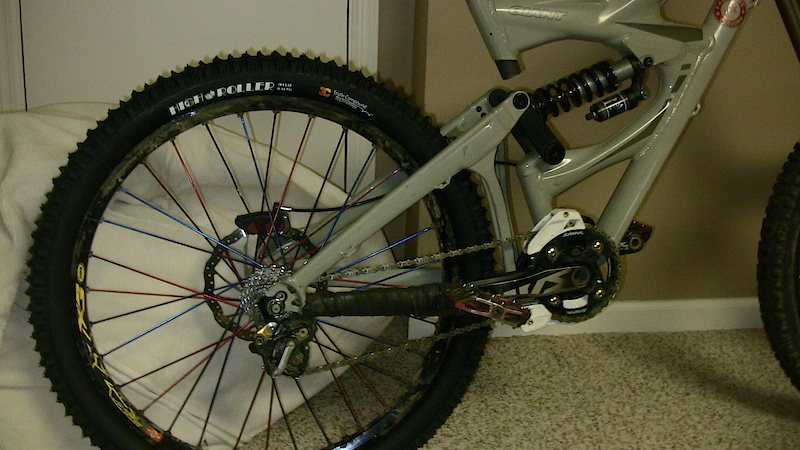 great bike..........put on a azonic axle.....for $50 you'll save some serious weight. I use mine for trail/freeride now and have the weight down to mid 34 pound, with a 36 float Rc2. 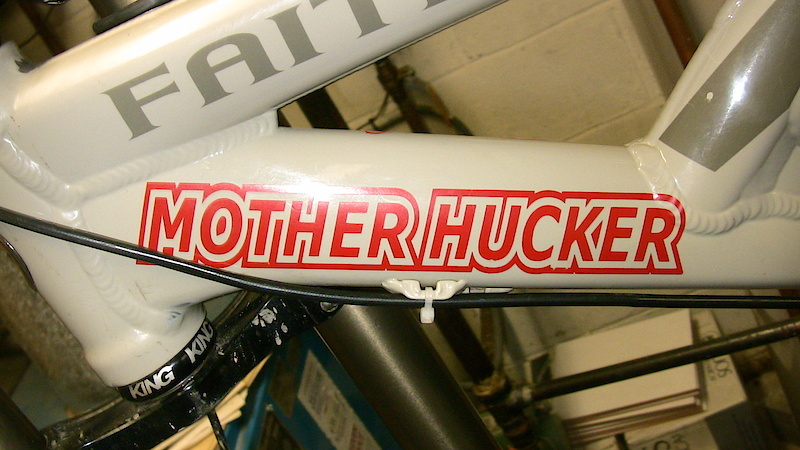 I always take it to the DH races, because I know with some part swapping it can be used us a back up DH bike. Yeah the mighty Faith. I had one for nearly 4 yrs, Raced it ,shuttled it,chair lifted it, pushed it(lots)rode the crap out of it and never had a problem.Should have kept it, would choose one over the early Glory. Actually i forgot to update this, built it up, and the minute it took it outside, noticed 3 cracks in the headtube. Gave it to the original owner who will warranty it or refund my money for the frame.